When it comes to a move, there is no doubt that not everyone feels the same. Some feel extremely excited about moving to a new location while some start to sweat by the mere prospect of packing everything and moving. 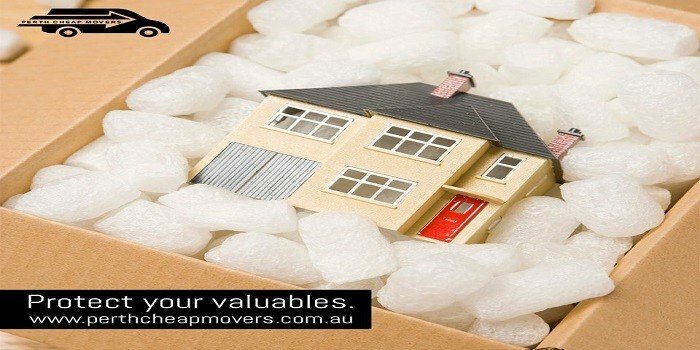 Now, whichever kind you are, there is no doubt that you will know the importance of hiring professional movers in Perth. Sure you might argue that doing the move on your own is well within your capabilities, but then again, you can’t deny the stress-relieving and time-saving ability of hiring professionals for a smooth move. Whatever route you take, there are certain things which you need to follow to make the removals a lot smoother. Then again, there are also things which you should absolutely avoid doing during a move. Do Invest Considerable Time in Packing: One of the biggest mistakes you can do is packing things in a hurry which obviously shouldn’t be done. If you try to pack things in a hurry, there is a very good chance of you leaving some things behind. Invariably, you will have to pack again for the things which you have left behind. Why go through all that effort? Precisely for this reason, make sure that you give yourself enough time to pack. Take one entire room to pack each room. Do Keep Your Fragile Items Separately: Make sure to pack the belongings which are prone to breakage separately. If you pack your fragile items with other stuff, you might end up damaging them. Also, make sure to mark the boxes which contain fragile items. Do Keep Important Documents and Expensive Jewellery With You: Now the chances of your belongings getting stolen are slim, especially if you hire a reputed mover. But why take the chance with expensive items? Precisely for this reason, make sure that you keep all your important documents and especially your jewellery with yourself; there’s no reason to pack them with others. On the moving day, you can simply take these things with you to your new house. Don’t Hire a Professional Mover Without Doing Any Research: On the face value, every one of them will look good, and you might think that you’ve made the right choice by hiring a mover. But when eventually the moving day arrives, you will realise the huge mistake that you’ve done by hiring them. Precisely for this reason, make sure that you acquire all the information you can find on the mover before hiring them. 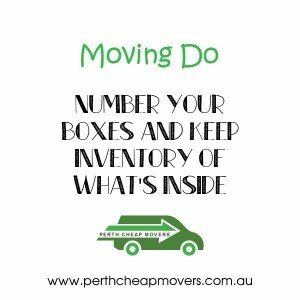 Don’t Consider the Price to Be the Most Important Factor: Just because a mover is charging extremely low prices for house removals, it doesn’t mean that you should expect a high-quality service. On the contrary, what you will get would be way below your expectations. 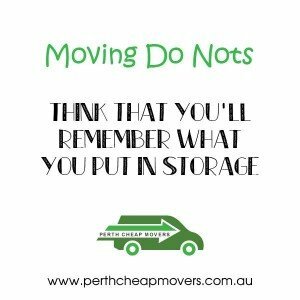 Similarly, don’t assume that high priced house removals in Perth aren’t necessarily of the highest quality. So these are some of the things which you should keep in mind during removals.